A couple of years ago I switched from giving my kids love notes in their lunch box to giving them jokes. When my son decided he was too old for love notes I needed a new way to connect while he was away at school. Knock, knock jokes for kids were a huge hit. We reached the point that they have heard all the jokes I’ve collected and I needed something new. Enter Sudoku for kids! These puzzles are fun, simple and give me a great way to remind the kids I’m thinking of them. You might also want to check out the indoor snowball fight and simple winter craft. Of course putting these Sudoku puzzles in your kids lunch box isn’t the only way to use them. These are great for restaurants or even quiet time at home. Click here to print these Sudoku Puzzles for kids. 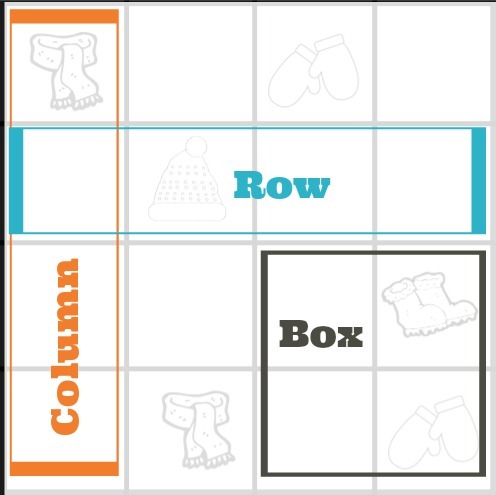 Each puzzle is made up of a 4×4 grid. Clues have been placed throughout each puzzle. Use pencil so that if you make a mistake it’s easy to correct it. Point out clever moves as they work. Help them see mistakes so they can be corrected before too much of the puzzle is done. 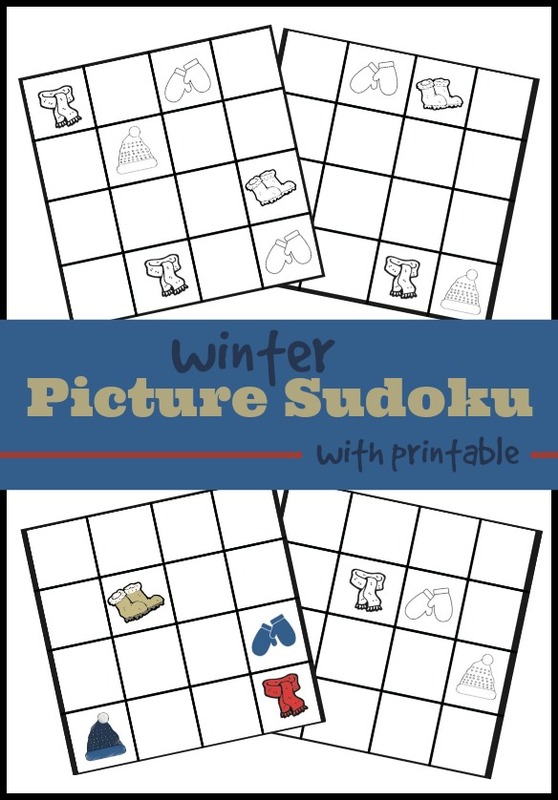 If your kids have fun with this winter Sudoku check out these books full of Sudoku puzzles. These links are Amazon affiliate links. By using these links you are helping support A Mom with a Lesson Plan. Thanks!